The beautiful Hilton Hawaiian Village resort on Oahu truly has it all. There is so much to see and do at this resort, it is really a premiere vacation destination in and of itself. Activities abound in a surrounding of lush and tropical scenery that will leave you wanting more and not wanting to go home. It’s easy to see why renting a timeshare at this resort is something you’ll want to do year after year and you may even be so overwhelmed by the relaxation and beauty, you’ll consider buying a timeshare resale at this resort for yourself. The Hilton Hawaiian Village resort is an expansive property located on 22 beachfront acres in Honolulu. The Hotel has 7 towers, 20 Restaurants, 90 stores and 6 pools. With all this, there is really no reason to ever leave the resort at all. The beach is steps away and there is also a private lagoon for more water activities (see above). There are many free resort activities, or those with just a nominal materials fee cost. These include: Lei making, Hula Lessons, Ukulele Lessons, Tahitian Drumming, Snorkeling Lessons and even Sarong tying. The landscaping around the resort is quite lovely with koi ponds (see right), flamingos and tropical plants. You can watch them feed the penguins and turtles in the mornings as well. Beach activities include surfboard and kayak rentals, or try a paddle boat. The Hilton also has it’s own boat dock for Catamaran sailing and Sunset Cruises. And for the ultimate in relaxation, don’t miss the Mandara Spa for an escape into pampering and comfort. If you are looking for a paid tours around the island, there is an American Express Tour Desk located right on the property where you can book any number of island tours such as the Polynesian Cultural Center, USS Arizona /Pearl Harbor Memorial, Paradise Cove Luau or Atlantis Submarines to name a few. Because you won’t want to leave the resort, you’ll be happy that they issue the Village Experience card upon arrival through Hilton Grand Vacations Club. Just register the card at the Concierge desk and show it to the various shops and restaurants throughout the resort to enjoy discounts and free items with purchase for those participating in the program. There are many obvious kid-friendly places to go on a family timeshare vacation. But there are just as many that you may not have thought about. Here are three you might want to consider. All of these offer family-oriented activities as well as budget-friendly timeshare rentals. Belize, Central America. This beautiful tropical country is located south of Mexico and next to Guatemala. It is considered one of the best budget family destinations in the world. The kids will love seeing the Community Baboon Sanctuary where they can wander through a Belizean rainforest and interact with nature as nowhere else. Guided tours will get them up close and personal to howler monkey families, and you can even take them on a nighttime crocodile expedition. The Belize Zoo in Belize City, and the Cockscomb Wildlife Sanctuary, home to the highest concentration of protected jaguars in the world, are two more fun activities for the kids. See Belize timeshares. Riviera Maya, Mexico. With all of the options available for a Cancun timeshare rental it's easy to make it a hub and take the kids south. Just half an hour from Cancun is Riviera Maya, a stretch of beaches that offers spectacular snorkeling for your older children, and exciting Mayan ruins to explore. The highlight of the area is the Xcaret theme park (see photo above). Here the kids can swim with dolphins - and sharks! - walk through a butterfly pavilion, and view pumas and jaguars as well as spider monkeys and brightly colored macaws. The river feature is a favorite where visitors float on rafts via an underground river through mangroves, past Mayan village replicas, and an interior portion with a beautiful stained glass window. Palm Springs, California. Yes, Palm Springs is a great kid-friendly vacation destination. Normally thought of as a place for retired golfers or as a honeymoon getaway, the Palm Springs area offers several activities just for kids. Start with Knott's Soak City, an amazing 21-acre waterpark creating a real oasis in the desert. With a 1950s Southern California beach theme, this water park offers more than a wave pool and a lazy river. The Dare Devil Tower is a speed slide that takes riders on a thrilling 7-story rapid decent. The park's newest ride, Pacific Spin, drops riders 75 feet into a 6-story funnel. Your youngest will have fun at the Gremmie Lagoon with pint-sized water slides. With over 50 hands-on exhibits, the Children's Discovery Museum of the Desert is filled with exciting encounters and interactive fun all designed to foster your child's natural curiosity. Here kids can dress up, work with scientific equipment, and even participate in an archaeological dig in search of Cahuilla Indian artifact replicas. See Palm Springs timeshares. The opportunity to travel to new places, whether across the globe, across the country, or just across the state, is what makes timeshare vacations so much fun. Souvenirs are a big part of vacationing - they serve as wonderful memories, and also serve as a way of actually bringing home a piece of that special place. But you can accumulate just so many souvenir mugs, spoons, and tacky snowglobes. On your next timeshare vacation, how about considering other souvenir options? Keith Skeel, owner of Eccentricities Interiors Emporium in London, suggests that you find a souvenir that can be made a part of your home's interior design. And it doesn't have to be anything fancy. As you explore your vacation destination, keep your eyes out for some item that is indicative of the culture, the heritage, and the people of that area. Native cloths, fabrics and woven wall hangings (see photo) are good souvenirs for your home. Put them on a wall, across the back of a chair, or even use them as the backing in a picture frame over which you can place photographs of your trip. When you visit art museums, check with the gift shop to see if any of your favorite paintings or sculptures is depicted on a poster. Keith Skeel points out that with the latest printing technology, many galleries can now make up a poster of a huge range of paintings on the spot. When you get home, place that poster in a matted frame and hang it in your main room. Make it a part of the décor by picking out a couple of key colors in the poster and matching them with pillows, throws, and even curtains. Many destinations have beautiful hand-made tiles. Choose a handful and have fun using them to decorate a spot in your house, such as a bathroom. 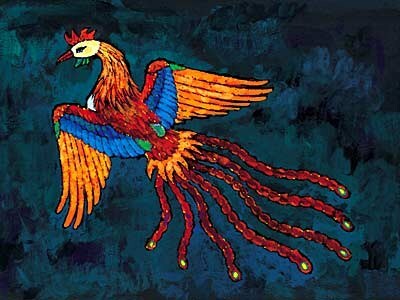 You can pick brightly colored tiles, intricately designed tiles, or simple two-color tiles. Due to weight and fragility these might be a souvenir that you'll want to think about shipping home. Another souvenir you can easily ship back is pottery. (Skeel's tip for choosing good quality pottery is to heft the weight - the heavier the better.) And Skeel says don't worry about buying something that has a chip or a scratch - it'll be cheaper, and the flaw will make the piece even more special when you get it home. When it comes to these kinds of lasting souvenirs "It's about bringing back a lovely memory," says Skeel. "If you enjoyed the experience of the purchase, you are going to enjoy the item." So whether your vacation includes a timeshare rental, a timeshare resale purchase or a timeshare exchange, these ideas can help you find a souvenir that you'll be proud to showcase in your home. Most of you who are planning a timeshare vacation are also expecting to rent a car. After all, your timeshare is at a wonderful destination with plenty of fun activities and natural scenery, and a car rental is almost a certainty. Christopher Elliott, a journalist for Tribune Media Services, offered some tips recently on how to "steer clear" of some bad car rental rules and what really to expect when renting a car, which we are going to pass along to you here. 1. Rate Changes. Some car rental companies have a tendency to change your rate, often after you've driven off the lot with the car. Make sure you have in writing what your rate is, what the additional fee is for bringing the vehicle back late, and even if there is a charge for returning the car early. 2. Age of the Driver. If you are under 25 check the fine print for additional fees, often up to $20/day. And some rental companies simply do not allow drivers who are under the age of 21. 3. Additional Drivers. If there's a second driver, car rental companies frequently ask for more money, often running up to $12 per day. Gone are the days when spouses or close relatives were exempt. Every extra driver is now charged a daily fee. 4. Child Safety Seat. You will always be required to pay an extra fee if the car rental company provides a child safety seat. Although you can check your own safety seat on the airline and use that, hauling it around can be a hassle, and the car companies know that. Elliott feels that child safety seats should be no-charge since they are required by law everywhere, the same as seat belts. But don't hold your breath. 5. Car classification. Recently Enterprise re-classified its cars in order to be able to charge more for popular sized vehicles. Avis, Dollar, and Hertz have followed suit. So be forewarned, Elliott says. 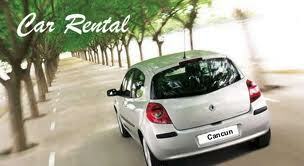 "Pay close attention to car rental classes. What they call a midsize the rest of us may call a compact car." 6. Refueling Fees. Many car rental companies apply a refueling service charge to all rentals under 75 miles. "Presumably, car rental companies are concerned that if someone drives the car a few miles, the needle on the gas gauge will still register 'full,'" states Elliott. "Moral of the story? Keep a receipt if you drive less than 75 miles. Otherwise, you'll buy another full tank of gas." Wherever you go on your timeshare rental vacation, and whatever you plan to do while you're there, these tips will help make your car rental experience a pleasant one. "Get ready for Fun!" exuded one excited fan after a day at the Wizarding World of Harry Potter, Universal's newest theme park in Orlando, Florida. Reviews of the Harry Potter experience are starting to come in. Isn't it time you planned to rent an Orlando timeshare and take your family of budding wizards to "the most exciting theme park to open in ages"? Fans will find themselves authentically immersed in the very "Wizarding World" that they inhabited with Harry Potter and his wizard friends (and foes) every time they turned a page of the books or thrilled to a movie scene. Right here in Orlando you'll feel hot dragon's breath, eat exploding candy, drink butter beer and pumpkin juice, ride a Hippogriff, see talking portraits and moving staircases. One review put it this way: "One of my favorite things about the new Harry Potter park is that the show never seems to end. Everywhere you look, there's some moving animatronics character, live character shows and performances, a ride, scenes from the books, and so on. You're continually entertained and made to feel like you've truly entered the world of Harry Potter." A number of reviews give the Butter Beer (obtained, of course, at the Three Broomsticks) big thumbs up (photo at right). 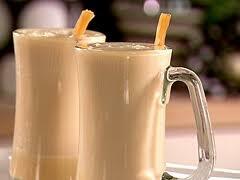 Apparently J.K. Rowling herself supervised the creation of this concoction. The Dragon Challenge roller coaster ride is reputed to be Harry Potter star Daniel Radcliffe's "favorite roller coaster of all time," and mere muggles agree. "These roller coasters are longer than the average thrill ride. There are more loops, spins, upside down over the top and every which way that you can possibly turn upside down than any other ride that I've ever been on, and they go really, really fast," says one reviewer. The Flight of the Hippogriff, may be a bit tamer ride, and is considered more of a "family" coaster, but is still "a thrilling ride!" according to many reviews. Harry Potter fans will enjoy the fact that the line winds past Hagrid's hut, and Hagrid himself is there to welcome you to his Magical Creatures class. The main attraction is the Forbidden Journey ride that takes you through Hogwart's Castle. "The blending of simulation and reality in this ride is the best I've ever seen," stated one reviewer. But be forewarned - several reviewers have mentioned that this ride is not for the youngest ones in your group, as some scenes are very realistic and can be quite frightening. "Overall, a fantastic experience! I can't wait to go back!" summed up one reviewer. And a young fan from Colorado put it this way: “If you are a Harry Potter fan this is a dream come true." 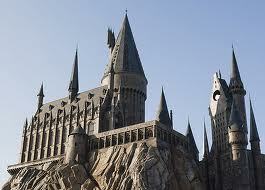 So plan a timeshare rental vacation and head to the Wizarding World of Harry Potter! What will they think of next? Disney, that is. With the Disney Imagineers always on the job, who knows! If your kids are getting tired of the same ho-hum roller coaster experience, rent an Orlando timeshare and take them to Walt Disney World's Epcot. At the Innoventions pavilion they can create their Own roller coaster ride! Disney's interactive ride, Sum of all Thrills, is actually a "design station" where you use a touchscreen to design a roller coaster, a bobsled, or a jet plane. Then make that ride do spins and rolls, loops and corkscrews - you can go to town and make it as wild a ride as you can imagine. And the best part? The information is downloaded on to a card and you then enter a simulator to enjoy the ride you just created! Inside the simulator you'll experience your ride on immersive high definition video combined with stereo sound and controlled air motion for a complete sensory experience. Sounds pretty cool, doesn’t it? 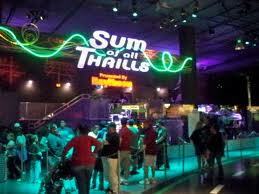 Pssst - parents - don't tell the kids, but this ride was really designed to show kids that math can actually be fun. When kids are dreaming up the corkscrews and drops for their custom-designed thrill rides, they use onscreen tools such as rulers, speed dials, and mathematical formulas for velocity and acceleration. Developed by Disney and military contractor Raytheon, the hope is that kids will learn how math and engineering sciences interact with their lives in useful - and fun - ways. Let the kids do some more exploring through Innoventions, while you're there. At this 2-story pavilion and interactive play space for kids of all ages, "you can imagine, invent, inquire and be inspired" while exploring amazing innovations that make our lives better. Besides Sum of All Thrills, other exhibits located at Innoventions East include Storm Struck where you can experience what it's like to be in a perfect storm; Don't Waste It! full of fun games that challenge you to create alternate forms of energy from virtual trash; and Test the Limits Lab - here you can have the thrill of smashing, bashing, crashing and shattering every day items. Exhibits located at Innoventions West include The Great Piggy Bank Adventure, a fun way for everyone in the family to learn the importance of sound financial planning; "Slapstick Studios" is where you get to participate in a wacky game show and discover creative ways to solve household problems; and Where's the Fire?, a fun way to explore fire safety by becoming the Fire Chief and making it through the Play It Safe Maze. For a great timeshare rental family vacation, a visit to Disney's Epcot Innoventions is a way to keep your kids engaged in learning while having the time of their lives! The preeminent Farnborough International Airshow (FIA) is currently underway in the U.K. "One of the most iconic global aviation events," FIA is only held every two years. The 2010 show is scheduled for July 19-25, and is expected to see over 150,000 visitors. The final weekend is when FIA opens to the public, with 165 aircraft in static display and in thrilling flying exhibitions. If you've missed this exciting show this year, plan your London timeshare vacation for the 2012 show now. As fascinating as FIA is to the public, trade is at the heart of the show, and the first 5 days are dedicated to the industry. Delegates arrive from all over the world to buy and sell the latest technologies. This year there will be 1,300 exhibitors and over 120,000 trade visitors. Pay attention to the planes that are being bought and sold, and you'll learn a lot about what kinds of aircraft you'll soon be flying to your timeshare vacations. 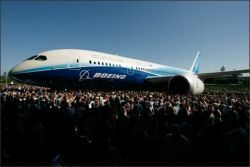 The excited buzz around FIA this year is the long-awaited unveiling of Boeing's 787 Dreamliner. Major technological and engineering innovations have made the Dreamliner unlike any other plane currently available. For example, it is the first plane ever to have a fuselage made entirely of carbon composite material, making the plane lighter and more fuel efficient. And its Rolls-Royce and General Electric engines will emit 20% less carbon dioxide than other planes of a similar size. The largest 787 model will seat up to 330 passengers. For passenger comfort extra-large windows, colored LED lighting, air purification, greater humidity and increased cabin pressure have been designed to make the Dreamliner the most comfortable aircraft on the market. Boeing currently has 860 Dreamliners on order from customers in 56 countries. These include the All Nippon Airways, which will launch the aircraft, with 55 orders. Qantas has ordered 50, and ILFC, which leases aircraft to airlines worldwide, is the largest customer with a total order of 74 orders. Russia is reportedly pressing Boeing to deliver 787s to the state-run airline Aeroflot in time for the 2014 Olympics. So very soon, no matter where you plan your timeshare vacation, you'll be flying on new, improved aircraft just as the airline industry is finally becoming new and improved itself. Head to Hawaii and visit the Zoo. Isn't that what everyone thinks about when they plan the perfect dream Hawaii vacation? Well, if you don't, you should! Rent an Oahu timeshare and take the entire family to the awesome Honolulu Zoo. The perfect family outing, a trip to the Honolulu Zoo, will give everyone the chance to see special animals, and enjoy many unique activities. You can even pack a picnic in your timeshare kitchen to take along and enjoy in the zoo's beautiful picnic grounds. The Honolulu Zoo is unique as being the only United States zoo that originated from a King's grant of royal lands to the people. King Kalakaua, who ruled Hawaii from 1874 to 1891, made the lands of the Leahi Land Holdings public in 1876. That year the Kapiolani Park Association was formed to administer the new 300-acre park. In 1877 the area was named after the King's wife and opened as Queen Kapiolani Park. An animal collection began in 1914, and grew to eventually become the Honolulu Zoo. Today there are hundreds of animals on exhibit that include everything from kinkajous (see photo at right) to hyenas, from the Hawaiian Bat to the Komodo Dragon (see photo above left), not to mention the lions, tigers and elephants, oh, my! The Children's Zoo offers keikis (children) the opportunity to have hands-on fun with such animals as pot-bellied pigs, hedgehogs and a red-footed tortoise. Dinner Safari - An evening of tours and delicious food, the program starts at 6pm and ends at 10pm. You'll explore the zoo first at twilight, then after dark with red-filter flashlights. Snooze in the Zoo - Pitch your tent or sleep out under the stars. Either way you'll be snoozing with lions and snoring with warthogs. You're adventure starts with a buffet dinner, continues with a guided walking tour of the zoo after dark, and the evening ends with s'mores around a campfire. Sleep - if you can in such an exciting place - until 9:30 in the morning. Breakfast with a Keeper - Here you'll have in-depth behind the scenes tour of one of the zoo's featured animals, accompanied by a buffet breakfast. The program occurs several times throughout the year and the featured animal changes with each program. Star Gazing at the Zoo - This is the Honolulu Zoo's newest education program, where you'll learn about many of the animals "out of this world and down to earth!" as well as exploring the night sky above Hawaii with astronomers from the University of Hawaii Institute of Astronomy. A beach vacation is a dream vacation no matter what time of year it is. The subtropical climate of Myrtle Beach, South Carolina, might be a little warm in the summer, but the gorgeous beaches and all of the activities still make this a great place for a family timeshare vacation anytime. In fact, right now at the Harbour Lights Resort, located in the Fantasy Harbour Complex in the very center of Myrtle Beach, timeshare rentals start at just $63/night. Other timeshare rentals to check out include the Sands Ocean Club, which "provides a beachfront home in the heart of Myrtle Beach," starting at just $89/night; and the Seaglass Tower, located directly on the beach and just 5 blocks from the Pavilion Amusement Park, with rentals starting at $69/night. Myrtle Beach is a coastal resort city in South Carolina, situated largely on a barrier island between the Atlantic Intercoastal Waterway and the Atlantic Ocean. It is the hub of both the Myrtle Beach metropolitan area and the Grand Strand, a collection of beach towns and barrier islands. Myrtle Beach is surrounded by various other towns and beaches where you can also find beautiful, budget-friendly timeshare rentals, notably Conway, North Myrtle Beach, and Surfside Beach. Myrtle Beach and the Grand Strand hosts over 14.6 million visitors annually, and is home to an array of tourist attractions which include its beaches and many golf courses, as well as a number of amusement parks, an aquarium, and an astounding 1,900 restaurants. The entire family will enjoy Myrtle Beach State Park, one of the most popular public beaches along the South Carolina coast. It consists of several miles of forest, and stretches along the Atlantic Ocean. The fascinating Nature Center features interactive natural history displays, saltwater aquariums and even live reptiles. Park naturalists offer nature education programs about the coastal habitat and wildlife. You'll all want to head to Myrtle Waves, a huge waterpark with fun for every age and interest. You can choose from the charging waves of the 12,000 gallon Ocean in Motion Wave Pool, or floating in inner tubes along the gentle LayZee River. Or take a 10-story ride from the top of the world's tallest tubular slide, the Turbo Twisters, where each flume is more than 350 feet long, equaling more than 1,300 feet. After that adrenalin rush, you'll enjoy the quiet Bubble Pool. The Grand Strand also has an IMAX theater, a dinner theater, nightclubs, and the acclaimed Carolina Opry which features various musical, comedy, dance, and entertainment shows. For a beach timeshare vacation that really has it all, from budget accommodations to activities for every member of the family - rent a Myrtle Beach timeshare and head to the Grand Strand in South Carolina. Hawaii is the ultimate dream vacation destination for families around the world, and it also has a very interesting history. Rent a Hawaii timeshare and learn some really interesting facts you didn’t know about this paradise vacation spot when you visit the Bishop Museum in Honolulu. Hawaii is the only state in our union to have converted to a state from a monarchy. It all started in 1790 when a warlord named Kamehameha united the warring factions on the "Big Island." By 1812, he had consolidated all of the tribes on the various islands under one governing kingdom, declared himself King Kamehameha I, and had established a royal court and a royal lineage. There's no better place to learn more about the fascinating history of Hawaii than to visit the Bishop Museum. Considered today to be the principle museum of the Pacific, housing the world's largest collection of Hawaiian and Pacific artifacts, it was founded in 1889 by Charles Reed Bishop as a memorial to his wife, Princess Bernice Pauahi Bishop, the last direct descendant of King Kamehameha I. In fact, the original collections were based largely on the royal family heirlooms. If you think that the Bishop Museum is just a museum, consider this: The collections consist of over 2.4 million Pacific and Hawaiian artifacts; 14 million insect specimens; 6 million marine and lands shells; 490,000 plant specimens; 500,000 marine invertebrates; 130,000 fish specimens; 85,000 bird and mammal specimens; and over 1 million historic photographs, documentary art and films; and a library of 115,000 bound volumes. Many people have seen paintings, statues, and live depictions of the royal Hawaiian kings wearing capes intricately created by weaving together thousands of beautiful feathers, along with the distinctive ornamental helmets. In the Bishop Museum's Hawaiian Hall, exhibits can be seen of the feather capes and standards, as well as helmets and drums, actually owned and used over the centuries by Hawaii's royalty. In addition to the main exhibit halls, the Bishop Museum also offers the Science Adventure Center. Here all members of the family will have fun exploring Hawaii's natural environment, from volcanoes to giant whales, through exciting hands-on, interactive exhibits "found nowhere else on earth!" If all of this isn't enough to keep your family hanging around the Bishop Museum, here's more: regularly scheduled guided exhibit tours, Hawaiian music and hula shows, Planetarium shows, Native Hawaiian crafting and demonstrations, garden tours, and dramatic storytelling. Whew! You're going to want your entire Oahu timeshare rental week just for this terrific place. Hope you can squeeze some beach time in. More and more families are discovering the wonderful world of timeshare rental vacations. Affordable, spacious, complete with many resort amenities, timeshare rentals are the perfect way to have a great vacation that is easy on the budget, easy on the parents, and fun for everyone. As all of you timeshare rental families have learned, one of the very best features of a timeshare rental is its fully-equipped kitchen. A money-saver, and so convenient, your own kitchen allows you to keep those constantly hungry kids fed without breaking the bank. For mom to be able to use the kitchen and still enjoy being on vacation, the meals and snacks need to be quick, easy, filling, and take basic ingredients. Here are some snack ideas that will save you money, save you time, and will be a hit with the kids. Remove the plastic wrap, peel away the paper cup. Prepare the fruit by cutting the apples into small squares, cutting the bananas and into chunks, and cutting the pineapple into chunks, if it's fresh. Put the fruit onto a large plate. Slide pieces of fruit onto the skewer and let the kids design their own kabob by putting as much or as little of whatever fruit they like. Do this until the stick is almost covered from end to end. Hold the kabob at the ends and roll it in the yogurt, so the fruit gets covered. Then roll it in the coconut. Thank you to the kids and adults at kid-health.com for these great timeshare snack ideas! It's summer, and that means that many of you are packing up the kids for a greatly-anticipated timeshare rental family vacation at a beach. With so many wonderful beaches in our country, from Florida to California, it's easy making the decision to get a little sand and surf time. For those of you who don't live by beaches, a beach vacation is probably in the category of a dream vacation for the family. We want to help you keep it that way. For beach novices - whether this is your first time at a beach or you only get to go once a year for a week - here are some timely tips to keep your family's beach vacation safe. If you have small children, or even teens who are not strong swimmers, plan to spend your time at a public beach with lifeguards. Patrolled beaches will display colored flags indicating both safe and dangerous swimming areas. The actual colors of the flags can vary, so if you are unsure of the meanings of the colors, ask a lifeguard. This is also important if you are at a beach in a foreign country. Be aware that as the day progresses, the position of these flags can change. 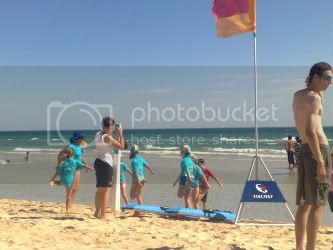 The lifeguards constantly monitor the condition of the ocean, so the distance between the safety flags, indicating a safe swimming area, could shorten. Be constantly aware of the placement of the flags. If you have children and are on a crowded beach, be aware that from the water all of the people, beach umbrellas, beach chairs, towels on the sand, etc., can look much alike. Plan to make your beach spot stand out so your child can easily find you. Lifetips.com suggests that you personalize it by posting your family name to your beach umbrella, or make streamers in favorite colors and attach them to the back of your beach chair. Let your child help make a family flag from an old pillowcase and bright colored fabric paint. (And remember to pack it!) With some duct tape you can attach it to just about anything. Southern California seems to have it all, and the newest addition to the California events calendar is no exception. "Mummies of the World" is a premier museum exhibition that opened at the California Science Center in Los Angeles on July 8th and will run until November 28, 2010. A budget timeshare rental just about anywhere in southern California will give your family the opportunity to enjoy a beach vacation, a Disneyland trip, a day at Sea World, and an amazing, once-in-a-lifetime, chance to see real mummies. Where did these mummies come from and how were they collected for a world-wide exhibit? In 2004 twenty human mummies were found in the basement of the Reiss-Engelhorn Museums in Mannheim, Germany. These mummies had been hidden from the Nazis during WWII, but it was thought that the Nazis had, in fact, destroyed them. After this startling discovery, the mummies were studied by an international team of scientists from many different disciplines. The "German Mummy Project" was the largest mummy research project in the world. The results are presented in the "Mummies of the World" exhibition, made possible through the collaboration of 21 world-renowned museums, organizations, and collections from seven countries. Yes, these are real mummies, and you can bet your teens will find that exciting. Your "tweens" might even find them intriguing. But the California Science Center cautions about bringing younger children. An on-line parent guide is available for downloading and will give you guidelines as to how to decide which of your children would enjoy the exhibit and which ones might be frightened by it. You'll also find suggestions on how to prepare your children, even the teens, on what they will encounter, and how to have reverence for these human remains. In fact, to explain "Mummy Ethics," the California Science Center has released this statement: "We present 'Mummies of the World' recognizing that ethical guidelines of global museum partnerships demand that human remains are treated with respect and dignity, taking into account the interests and beliefs of the social, ethical and religious groups from which the human remains originate." Many members of your family are sure to find this exhibit fascinating. The science behind mummification is presented in detail with interactive and multimedia displays. The collection's mummies, some dating as far back as 6,500 years, are from every continent, and preserved in different ways. All tickets to "Mummies of the World" are timed-entry for 75 minutes, giving each person the chance to really experience the exhibit. 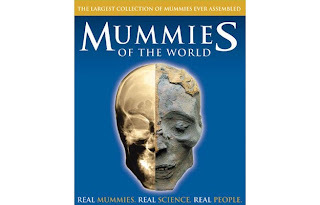 So make your plans for a southern California timeshare vacation and put "Mummies of the World" on your agenda. You can do it as a family summer vacation or a fall retiree trip. Either way, odds are you've never before taken a vacation like this one! When you think of a vacation to New York City, you undoubtedly think of the glitz and glamour of a big, exciting city. But you may also realize that hotels are very expensive there, especially if you want to be in the heart of the action - Manhattan. However, there are many wonderful New York City timeshares for rent right in downtown Manhattan that are surprisingly easy on the budget, and a great way for you to afford to take the entire family - and see all of the fun things that are happening in NYC in July, 2010. Here is a list of several fun things to do this July for budget-minded family fun, based on picks by Kate Appleton, of Budget Travel Magazine. Coney Island is now known as Luna Park, but it's the same fun, old-fashioned-feeling amusement park, complete with its 83-year old roller coaster, Cyclone (see photo). However, 19 new rides opened here this summer, so you'll have plenty of modern marvels from which to choose. Classic summer night baseball is also available out at Coney Island. Here the minor-league Brooklyn Cyclones take on rivals, and if you attend on the right nights you'll also get treated to some great fireworks. Fireworks at the stadium are on Saturdays, (July 3, 10, 31) and also are along the boardwalk on Fridays (July 9, 16, 23). Free concerts are being hosted by the Metropolitan Opera beginning at the SummerStage in Central Park on July 12. Additional venues are July 15 at the Bronx's Crotona Park, July 20 at the brand-new Brooklyn Bridge Park, July 22 at Staten Island's Tappen Park, July 27 at Queens Bridge Park, and July 29 at Manhattan's Jackie Robinson Park. Pack a picnic, and be sure to show up early to claim your spot at these very popular summer events. Head to Bryant Park on Thursdays at 12:30pm for the extraordinary opportunity to see some of Broadway's top actors, from its top shows, perform on the lawn's center stage. This July will feature stars from "Wicked," "South Pacific," and other award-winning Broadway shows. For something different plan to attend "Bastille Day on 60th Street" on July 11, when the French Institute throws a three block party to celebrate French Independence Day. You'll see mimes, accordion players and cancan dancers, and have a chance to indulge in French cuisine. Kid-friendly activities are also available such as pétanque (lawn bowling). Take a break from your timeshare kitchenette meals, and check out "Fine dining for Less" during Restaurant Week, July 12-16 and July 19-23, plus Sundays at selected restaurants. Three-course, prix-fixe meals are available at discounted prices for lunch and dinner at about 275 restaurants. Across the country from New York City's famed Central Park, is a park just as exciting for family outings - San Francisco's Golden Gate Park. Rent a San Francisco timeshare in the City by the Bay, and check out Golden Gate Park - at over a thousand acres, and three miles long, it's actually larger than Central Park. Just a drive through, following the scenic drive signs, takes an hour. Golden Gate Park is home to two premier museums, the deYoung Art Museum, and the California Academy of Sciences. 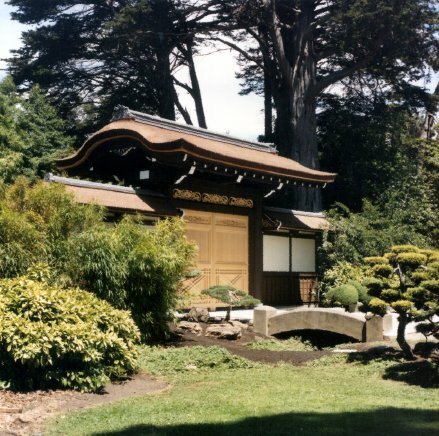 Gardening enthusiasts will enjoy the Japanese Tea Garden (see photo), the outdoor botanical garden, and the Conservatory of Flowers. Other fun things to see include Queen Wilhelmina's Windmill, an honest-to-goodness Dutch windmill that stands near the west end of the park. In spring, tulips bloom around its base. Spreckels Lake is a fun weekend stop where you can watch small-scale radio-controlled boats sail, paddle, or jet across the water. Or take your own rowboat, or fun paddle boat, out on Stow Lake, a fun family-friendly activity (life vests are available for the kids). You'll all enjoy this stunningly beautiful lake with its waterfall and pagoda-like gazebo. Pack a picnic from your timeshare kitchen and head to a popular picnic spot, Strawberry Island, in the middle of the lake. Adults will enjoy "Lindy in the Park," a Swing dancing fest held every Sunday. The totally free afternoon starts off with a beginner's lesson, and then breaks into a huge dance party with a mix of jazz, blues, and swing music. Whether you're totally green or a real pro, you'll feel at home with this diverse crowd. Or you can simply sit back and tap your toe as a spectator. For the kids, America's oldest public playground, the Children's Playground, now officially called Koret Children's Quarter after a recent $3.8 million renovation, is the place to go. There's lots to do, from spinning cups to a 50-foot climbing tower, from slides to ziplines. The classic carousel, built in 1912, has organ music and ornate animals to ride. And what other park in the country has its very own bison herd for the kids to enjoy?! Get up close and personal at Buffalo Paddock. Note: There is now a shuttle bus from the free Ocean Beach parking lot to various locations inside the park; it's just $2 for an all-day round trip. So rent a timeshare in San Francisco and enjoy this west coast big brother of NYC's Central Park - it might become your family's favorite. Summer is in full-swing, and the east coast is sweltering as usual. The desert resort areas of Arizona, Las Vegas and Palm Springs have heated up, too. Since the kids are out of school, summer is the only time many of you can take your family vacation, regardless of the sizzling weather forecast. So aren't you glad you're renting a timeshare at a resort? You'll have wonderful air conditioning through spacious rooms, cooling breezes off the balcony, big swimming pools, and even a kitchen with a refrigerator for chilling water and drinks! Listen to the weather forecasts and be aware of upcoming temperature changes. Understand what is meant by "Heat Index." As important a term as "wind chill" is in the winter, the stated Heat Index combines temperature and humidity, and lets you know what temperature your body is actually feeling, regardless of the ambient temperature. Exposure to direct sunlight can increase the Heat Index by as much as 15 degrees F.
Stay hydrated. Drink plenty of fluids all day long, even if you do not feel thirsty. This is of paramount importance for your children. If you know you'll be spending a lot of time at a theme park standing in line in the sun, go prepared with plenty of water for everyone in your party. Avoid drinks with caffeine or alcohol, as both just add to your dehydration problems. Eat small meals, and eat more often. This allows the body to use less energy in digestion, which in turn prevents the body's core temperature from increasing during the work of digestion. Wear loose-fitting, lightweight clothing. You will want to stay away from dark colors which absorb the sun's rays. Light-colored clothing helps reflect the sun's heat. Know the signs of danger: Heat Cramps are muscular pains and spasms in the legs or abdomen, and are often an early sign that the body is having trouble with the heat. Signs of Heat Exhaustion include cool, moist, pale or flushed skin; heavy sweating; headache; nausea; dizziness; and weakness. Signs of Heat Stroke include hot, red skin, unconsciousness and vomiting. What to do: Move the person to a cooler place; apply cool, wet cloths or towels to the skin; fan the person; if the person is conscious, give small amounts of cool water to drink and make sure the person drinks slowly. If the person shows signs of nausea and vomiting, or loses consciousness, call 911 immediately. Your family timeshare rental vacation is special in many ways, and one way to savor the memories is by taking good pictures. This is the second in our two-part series offering photography tips collected by Douglass Daniel, a writer and editor with the Washington bureau of The Associated Press. Continuing following these tips on good picture-taking and you'll have some real beauties to frame. Know when to turn the flash off and when to turn it on. "Many people figure if they're outside they don't need the flash," says Baltimore photographer Walter Rowe, editor of the Travel Photographers Network website. "But flash can help lighten up areas in shadow so they don't appear so dark." At night, not using the flash in favor of natural light might be the best way to capture an image. But for a longer exposure, the camera will need to be steady to avoid blur caused by movement. "Use the camera's timer to avoid the downward movement that comes with pressing the shutter button," advises Rowe. "Steady yourself against a wall or another stationary object. Try placing the camera on a flat surface, even a drinking glass turned upside down." Check the edges of the frame as you compose a shot. "Train yourself to look for objects you don't want in the picture. At the beach it might be a trash can; in the city it might be an orange construction barrier. Then reframe accordingly," suggests Daniel. "Most people tend to shoot from wherever they're standing and not think about eliminating unwanted information from the edge of the picture," adds Eliot Cohen. "You have to learn to really see all the details as well as the piece you're interested in." Use a digital camera if at all possible. The great thing about using a digital camera is that you can review all the elements once the picture has been taken. "If a post or a tree is sticking out of someone's head, reshoot. Maybe you can move yourself a little bit," Rowe says, "or move the person a little bit." "Digital cameras don't make you a better photographer, but they do allow for more chances to get it right," says Daniel. Buy the largest memory card you can afford. And bring extra batteries or the battery charger and an adapter, if needed. "Don't be afraid to take a lot of pictures," Dharapak says. Walsh adds, "You've already paid for those megapixels, so use them." Daniel suggests that on a long trip, look for a photo store that can download your pictures to a disk you can pack or even mail back home. "You risk losing all your photos if you drop your camera in a river or if it's misplaced or stolen." Your family timeshare rental vacation is a wonderful time for bonding, and is full of memories that will last everyone a lifetime. Part of the memory making is the picture taking. You don't have to enroll in a photography class at your local college for great family vacation pictures - just follow these tips from some of the pros, compiled by Douglass K. Daniel, a writer and editor with the Washington bureau of The Associated Press, in our first of a two-part series. Start shooting before you leave home. This is especially important if you have a new digital camera. "Reading the manual on the plane is not enough," says Washington, D.C.-based photographer Eliot Cohen. "At that point it's way too late. Practice with it before you take important pictures." Shooting at home, without the pressures of trying to get those once-in-a-lifetime pictures on the trip, will help you become familiar with the camera. When photographing a landscape, make the foreground interesting. "A rock, tree or statue can work," says Scott Stuckey, author of National Geographic's "Ultimate Field Guide to Travel Photography" and managing editor of its Traveler magazine. "Even better is a shot of a person doing something that relates to the landscape — a fisherman tending his nets, a cowboy on horseback, even a tourist taking a picture." And sunsets? "They really aren't all that interesting," Stuckey says. Sure, take a shot of the setting sun, and then "…turn around and photograph the landscape where the setting sunlight is falling, with the sun at your back. That's where the interest lies," points out Stuckey. Go beyond the posed picture. "Vacation pictures are about remembering moments, not just places," says Susan Walsh, an Associated Press photographer. "Shots of your companions in action will capture the fun of a trip. They remind you what you were doing," Walsh says, "whether it's how hard it was to climb up that mountain or splashing in the pool or paddling a canoe." And don't forget to include the locals, Scott Stuckey advises. "They reveal the character of a destination more than any other photographic subject." Get as close as you can to your subject. Try to move in and "fill your frame," says Charles Dharapak, an AP staff photographer in Washington. "If you can get closer, I'd say the results will be sharper." Avoid using the camera's zoom in low-light situations. "The zoom lens usually engages a slower shutter speed to collect more light," explains Dharapak, "which increases the chance of blur from movement." Many of you will be flying to your timeshare rental on your summer family vacation this year. If you're like most people, flying is an easy, convenient, and comfortable means of getting to your destination. And, if you're like most people, the thoughts of airline safety, especially as relates to terrorism, are not far from your mind as you step aboard that plane. Rest assured that governments world-wide continue to work toward anti-terrorism safety. On June 28, 2010, the EU (European Union) announced that it will begin trials of anti-terrorism technology aimed at detecting suspicious behavior on board aircraft. The system has already been tested by the EU on a British Aerospace plane and a mock Airbus. Trials of similar systems have been conducted at airports around the world, but the new trials would be a first for on-board commercial aircraft. The system uses a combination of CCTV, microphones, and explosive detectors all linked through a software package that analyzes the data. Microphones pick up on anything which could suggest terrorist behavior. Inside the lavatories explosives "sniffers" detect if a bomb is being assembled. All this information is analyzed by computer and if it identifies something suspicious the flight deck is alerted instantly. “What we are doing is extending technology already used at airports and railway stations and placing it on an aircraft,” said James Ferryman, who is leading the research project. According to researchers this technology could have prevented the Nigerian Al Qaeda terrorist, who tried to detonate an explosive device on a Christmas Day flight to Detroit, from getting as far as he did. “It is known that the terrorist was acting nervously in the airport prior to boarding – this could have been picked up with the same automated CCTV technology – and that he spent time in the toilet assembling the components of the explosive,” Ferryman said. Meanwhile, in the United States, the Department of Homeland Security (DHS) has announced that 100% of passengers traveling within the United States and its territories are now being checked against terrorist watch lists through the Transportation Security Administration’s (TSA) Secure Flight program. "This is a major step in fulfilling a key 9/11 Commission recommendation," (DHS) Secretary Janet Napolitano stated. The goals of Secure Flight as explained by the TSA are to: Identify known and suspected terrorists, prevent individuals on the No Fly List from boarding an aircraft, provide enhanced screening of select individuals, facilitate passenger air travel, and individuals' privacy. The TSA began implementing Secure Flight in late 2009 and expects all international carriers with direct flights to the U.S. to begin using Secure Flight by the end of 2010. Surf's Up! No matter what season of the year it is, great surfing can be found somewhere in America. Surfing has grown to be an iconic cultural phenomenon all its own, immortalized in song, film and fashion - and the search for the perfect wave. If you've been planning a timeshare surfing vacation, here are a few surfing beaches considered by the surfing world to be some of the "Most Fantastic Surf Spots in America." Rent an Oahu timeshare anywhere on the island, and you'll find your way to the North Shore. Famous as one of the top surfing areas in the world, there are some pretty hefty waves crashing on this shore all year round (see photo above). But winter is when the surfing here charges up to a whole new level. The giant storm-generated swells in the northern Pacific travel thousands of miles to break along Oahu's North Shore with some of the most imposing and massive waves on the planet. 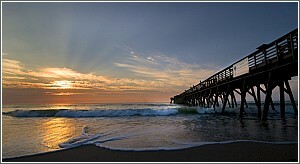 Rent a Daytona Beach timeshare and this phenomenal surfing area is a quick drive down the coast. Considered one of the most consistent surf spots in Florida, fantastic waves offer surfers fantastic rides at this surf beach. The subtropical climate here is perfect for summer surfing, and for growing special treats of coconuts and bananas! On the list of best American surf spots is not southern California, but this surf beach at Half Moon Bay. A timeshare rental in San Francisco will put you in good shape to experience one of the most popular spots in the sport of surfing. The water is chilly, so wet suits are recommended, but here the waves are gigantic. The annual Mavericks Surf Contest is held here pitting athlete against nature with the 50-foot waves that come roaring out of the Gulf of Alaska during the winter. Drive just an hour from your Atlantic City timeshare rental and you're in a spot considered to be one of the best surfing beaches on the east coast. Prime surf season in New Jersey occurs during the Fall months. The beach crowds are gone, and although the air temperature is cooler than summer, the Atlantic Ocean here generally remains warm through October. And the waves are at their peak, often generated by hurricanes miles away. For advanced surfers only! Rent a Galveston timeshare and check out this variation on the sport where surfers lie in wait in the Galveston ship channel to catch an impressively long ride on the wake of a giant ship. Just make sure you know what you're doing!